Anytime you need air conditioning service in Denver, you’re looking for a company that has qualified and honest employees that provide services that are done with pride and quality. With Premier Heating And Air, you can depend on a high level of customer service in every aspect of our services. We provide Denver with services for air conditioning repair, as well as installation. Our goal is to give you the HVAC system in your home that works effectively and efficiently. 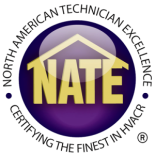 As we continue to be the best for HVAC services in Denver, we make sure that the services you pay for are provided by NATE certified technicians, that continue their education in the services that we provide. They work every day to make sure they are qualified to handle any issue you’re experiencing with your air conditioner, and you can depend on the quality of work they will provide. We’re so confident in our techs and our services, that we offer our customer a 100% satisfaction guarantee. With Premier Heating And Air, you get quality air conditioning installation and repair, at an affordable cost. Are you experiencing issues with your AC such as strange noises, foreign smells, or hot spots in your home? If so, you might be due for an air conditioning repair. These three signs are typically an indication of problems in with your air conditioner, and when you notice them, you want to have an HVAC company that’s dependable, so you can solve your problem right away. As you sit in your home and notice that it’s a little too warm, you go to check the thermostat. You’ve set it to 68 degrees, and it reads that the temperature of the home is 75 degrees, something isn’t right. The problem with this is that you’ve already paid an HVAC repairman to fix the problem, and now it doesn’t work. This could mean it’s time for a new air conditioner. When you’re in need of a new AC unit, you want a company that are experts in air conditioning installation. With Premier Heating And Air, you’re getting quality service, and NATE certified techs that can properly install your new air conditioning unit. If your air conditioning unit isn’t cooling your home as well as you would like, or you’ve happened to notice your energy bill increase without good reason, you might be in need of air conditioning repair. You more than likely still have a unit that is fully capable of being an efficient appliance in your home, and installing a new one may not be necessary. In the long run, air conditioning repair will help you save money, and will improve the longevity of your unit. With Premier Heating And Air, you can depend on 24 hour emergency air conditioning services. When you have an emergency, we make it our priority and will work to help you as soon as possible. If you’re interested in any of the air conditioning services that Premier Heating and Air has to provide, please don’t hesitate to contact us! We offer free estimates and are more than happy to to take your call today. Contact the Premier Heating and Air team today and make an appointment for our air conditioning services in Denver!